Samsung is going to release the next generation smartphone flagship Galaxy S4 during World Mobile Congress (MWC) in February next year. Quoted from Samsung official, Samsung is planning to launch Galaxy S4 on World Mobile Congress in Barcelona next year, and the phone will be put into the market globally in March at least. 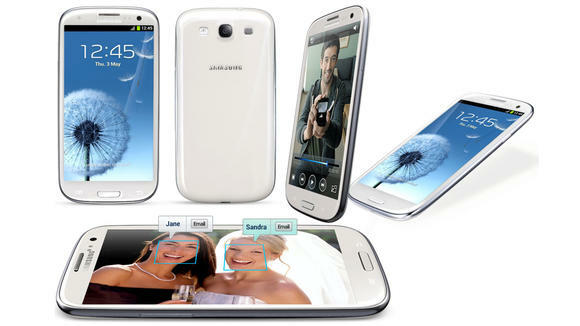 Samsung Galaxy S3 has been unveiled in May this year. It is said that the sales of Samsung Galaxy S3 this year can reach 30 millions. Earlier this month, the sales of Galaxy S3 have reached 20 millions. Samsung official also states that there are 9 months from Samsung Galaxy S3 to Samsung Galaxy S4, so there is enough time to buffer the effect brought by Apple iPhone. Last week, apple has just released a new generation iPhone 5, this Friday it will take the lead be put into the market in the United States, Australia, Canada, France, Germany, Hong Kong, China, Japan, Singapore and the UK. Galaxy S4 will be remarked as the most powerful Samsung smartphone in hardware specifications and software functions. In hardware design, Galaxy S4 will support LTE networks, adopting Exynos processor and quad-core chip. At present, based on different countries Galaxy S3 adopts new Cars Combo C4 Samsung Exynos and Qualcomm Snapdragon processor respectively. In screen, Samsung Galaxy S4 adopts OLED screen, from 4.8 inches to 5 inches. In software, it also puts Google Android system into use.